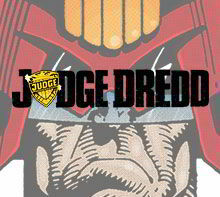 Hey perps, here you will find all of our official Judge Dredd merchandise, including a wealth of Judge Dredd t-shirts and hoodies relating to our favourite Mega City One Judge, Dredd. Since his first appearance in 2000AD magazine in 1977, Judge Dredd has appeared in two major motion pictures, a number of video games, board games, collectible cards, pinball games, and more. Also check out our other 2000AD merchandise! Judge Dredd He Is Th..
Judge Dredd I Am The..
2000AD I'm A Fink t-..